An overwhelming majority of attendees who showed up to today’s Concordia Student Union General Assembly have voted for a one week strike starting March 15. “It was definitely an interesting process, but I think that at the end of the day, the students spoke,” said Concordia Student Union VP External Chad Walcott after the vote. Walcott gave a presentation before the vote and fielded questions from students. 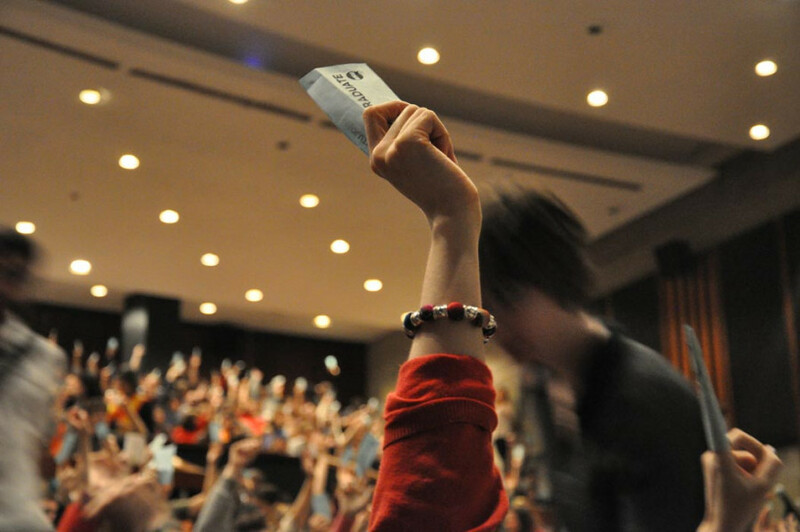 The show of hands, which took place in four separate rooms spread across Concordia’s two campuses, yielded 1,152 for a strike, while 557 voted against. The first moved the date of the strike—which was originally set to begin on March 22—to a new date on March 15. The purpose of the change was due to the presentation of the provincial budget being moved to March 20. The new dates coincide with the last week of campaigning for the CSU general election. Polling begins on March 22. The second motion passed was to ban blocking of teachers and students who wish to enter classrooms. While the motion passed, Walcott stressed that due to a lack of manpower, such a motion is nearly impossible to enforce. Student union President Lex Gill has since sent out an email to all undergraduates apologizing for the problems experienced at the assembly. 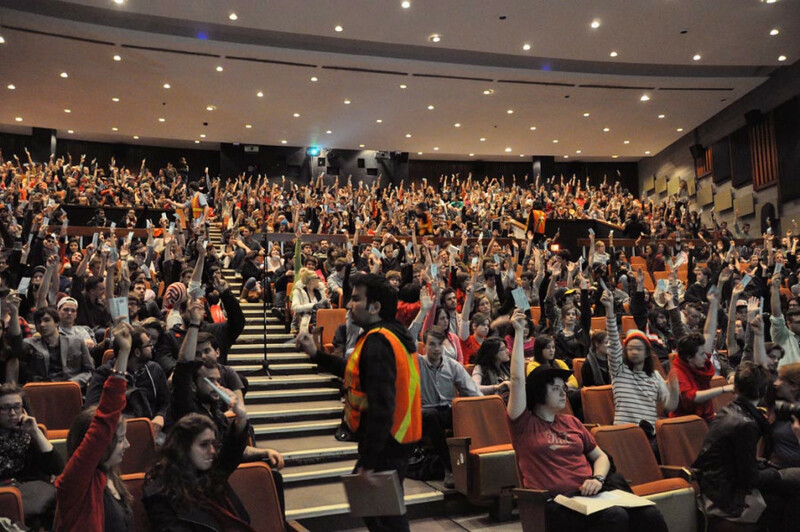 The day before, the Graduate Students Association held their own GA, at which an estimated 400 people voted, with a majority in favour of a strike. Their strike is set to begin on Monday.